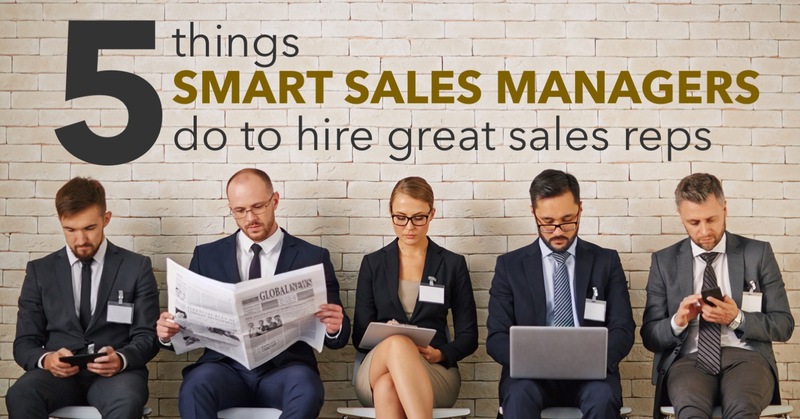 5 Things Smart Sales Managers Do to Hire Great Sales Reps | xPotential Selling Inc. Stuck with underperforming salespeople? Use these five tips to help you weed through your stack of résumés and hire great sales reps.
1. They clearly define and communicate the job expectations. Job descriptions describe the duties of the job in general terms. Job expectations describe the details of the job. Great Sales Managers provide plenty of detail regarding target customers, specific prospecting strategies, expected new clients, time frames, acceptable margins, deadlines, how to use resources, etc. They endeavor to eliminate as much ambiguity as possible to help the new sales rep become successful as quickly as possible. Great Sales Managers know that testing candidates is critical. There are many attributes of a person that simply cannot be observed in an interview or on a résumé. In addition, they know that personality tests alone are not sufficient to provide enough information to make an intelligent hiring decision. They need more information. Therefore, they use an in-depth sales assessment tool that analyzes not only personality, but things like motivation and cognition. 3. They ask very specific interview questions of the candidate. Notice the question demands the sales rep provide specific words, not generalizations. This way, the Sales Manager can evaluate the strength of their prospecting strategy and the quality of their delivery. 4. They maintain objectivity throughout the hiring process. They keep their emotions in check and avoid subjectivity. Too often, Sales Managers get excited about a candidate and allow their personal feelings to override their judgment. Interviews are notorious for people telling other people what they think they want to hear. Great Sales Managers don’t allow themselves to get caught in the emotion of a “superstar” sales rep from another company to sway their decision. They methodically proceed through the entire hiring process allowing it to reveal any conflicts the candidate may have with the role. 5. They always look for new sales reps. They don’t wait to start looking after there is an opening. They keep their eye open for new talent all the time. They know that great salespeople can be found in the most unlikely places. How? Talent can be underutilized in some organizations. With the right conditions and opportunity great salespeople can emerge from restaurants, retail stores, marketing departments or admin staff. In most cases, they were simply never given the sales role opportunity and got stuck in a non-sales career path. Savvy Sales Managers see past that and can identify potential talent almost anywhere.